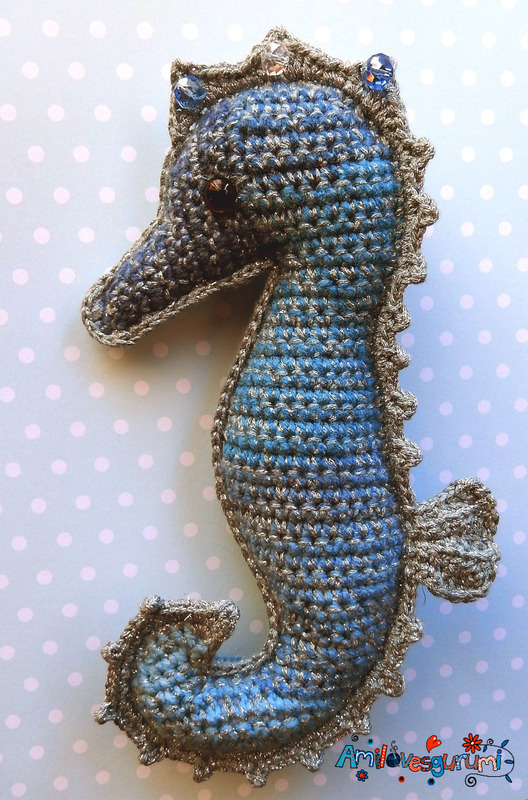 Seahorses are absolutely fascinating! I made a ragdoll pattern for you. 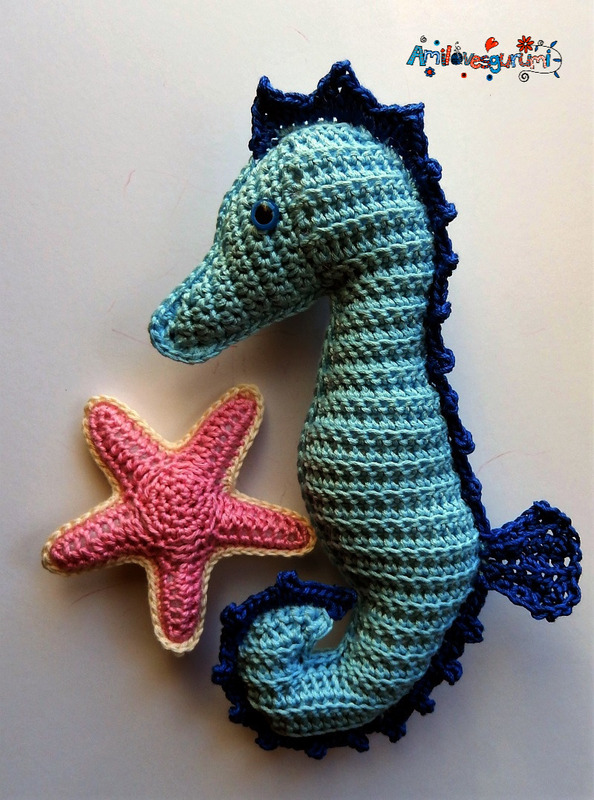 These seahorses are cute, they work up quickly and this makes them perfect for a bazaar or a quick gift. 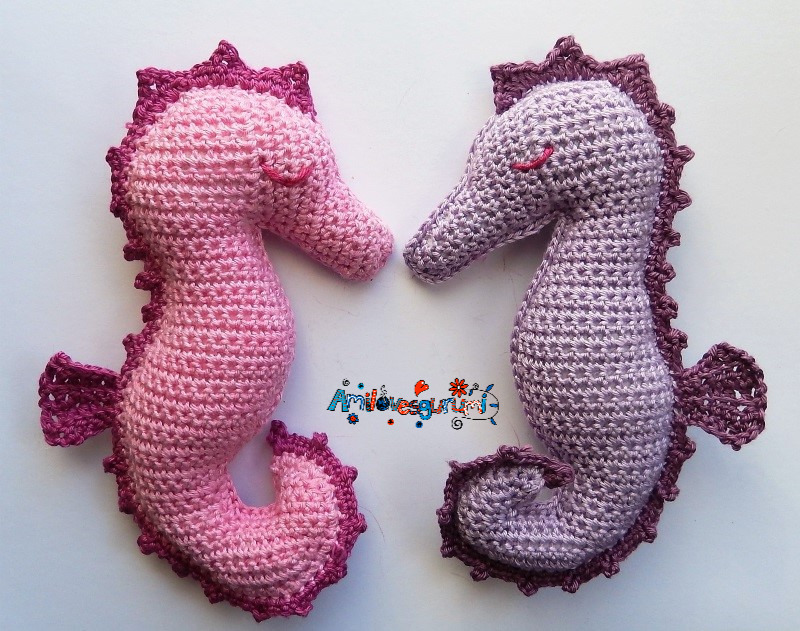 It could be a decoration for the bathroom, or a wall hanging for the nursery, or a gift for little princesses. 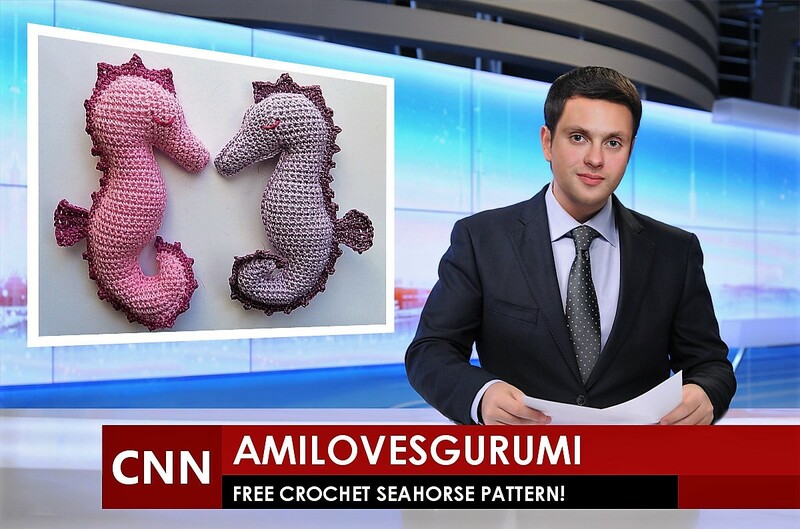 Oh, the seahorses are addictive! 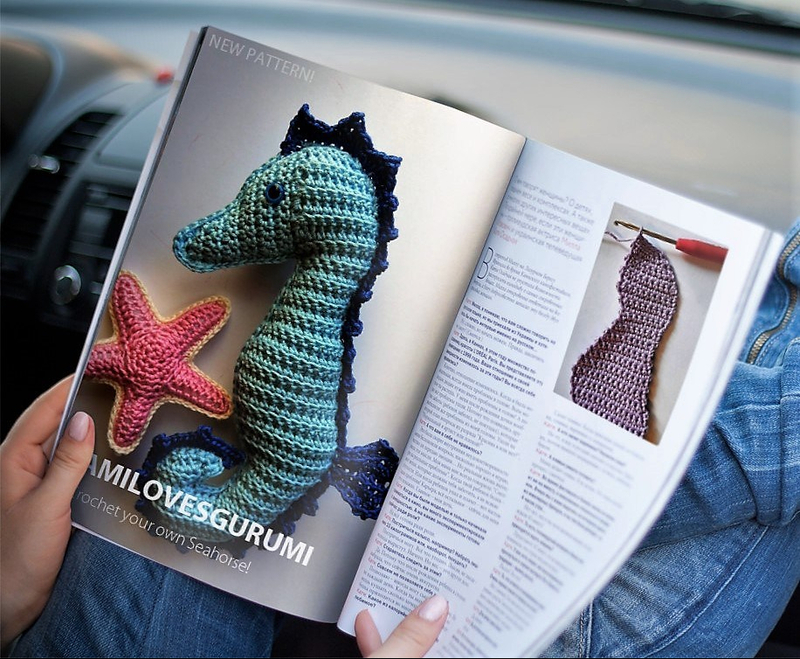 I was curious how it would look like … with blue or yellow or how about a little sparkle … and I was back at crocheting. I hope you feel the same!!! 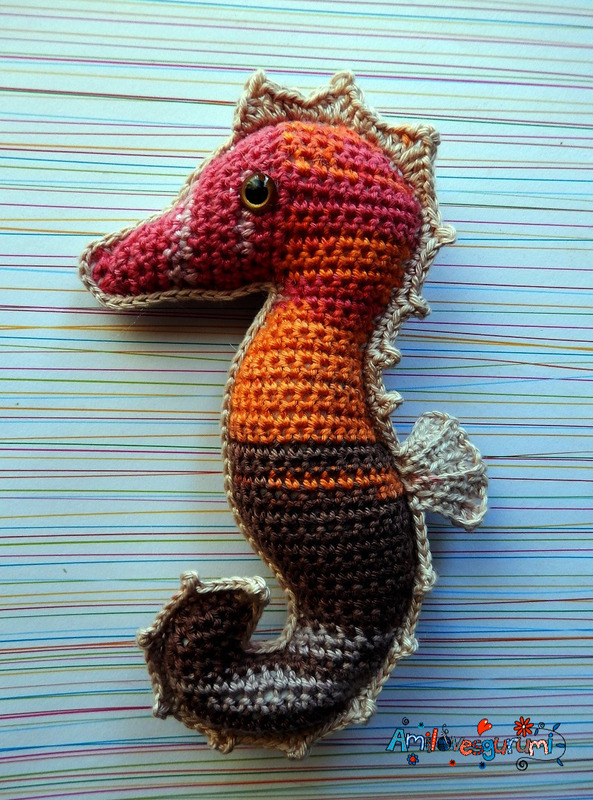 Just send me pictures of your seahorses, then I can finally stop, hi hi. Let me wish you a happy new year and thank you for this lovely pattern. Dear Line, cheers to the New Year, which will hopefully be full of good luck and happiness. Happy New Year!